There has been a lot happening on the farm this year. So much so, my chores list has been needing to be very flexible. A major lesson learned is to not be so ridged with what I believe needs to happen and pay close attention to what God wants to have happen. When my timeline used to be disrupted, it used to really agitate me, not so much anymore. I thank God for this. The honey bees this year has taught me quite a lot. The strength in numbers. That as a group they are far more powerful than as individuals. They are precise in their mannerisms. From birth, to jobs, to building and maintaining their home, they have it down perfectly. Most of the problems they’ve developed over the years is because of us. Pesticides, insecticides, fungicides, plastics, just to name a few, have all played a part in the honey bee decline. I take my role as an animal husband quite seriously. See the link for more info. As such, I read, ask questions, and really try my best to do well by them and it is not easy. My biggest difficulty is finding the line between my desire to be a minimalist in my involvement in their life and being a good animal husband. It’s not as easy as I thought. 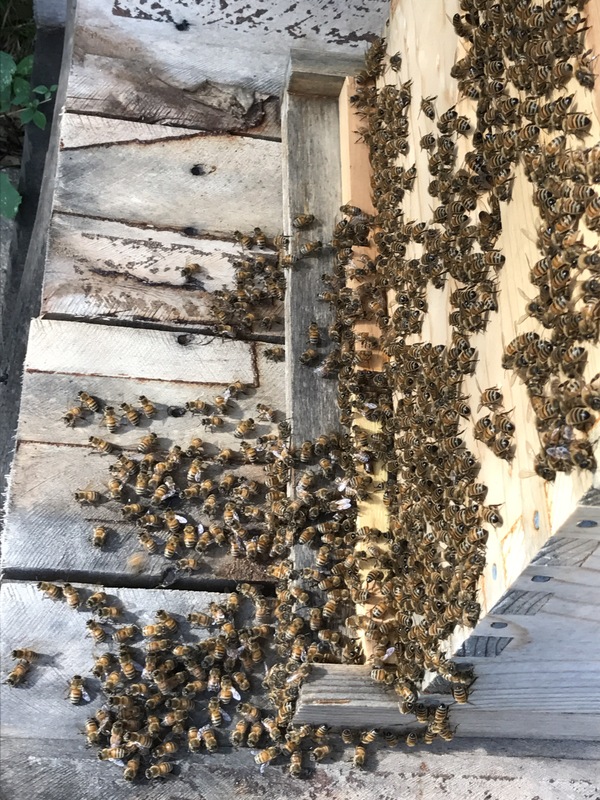 There are many philosophies that people have when it comes to bee keeping, and many make sense and work for people successfully to both the bees and the keepers benefit. Me, I need to find mine. A hybrid of all the information and philosophies that work for me and my bees. One lesson for me is that just because people have used something for hundreds of years successfully doesn’t mean it’s right for me and my bees. What am I talking about you ask? Hives. The home of the bees and a topic for another blog. This entry was posted in Uncategorized on September 1, 2017 by JPS.